The Pelican Nebula (also known as IC5070) is an H II region associated with the North America Nebula in the constellation Cygnus. 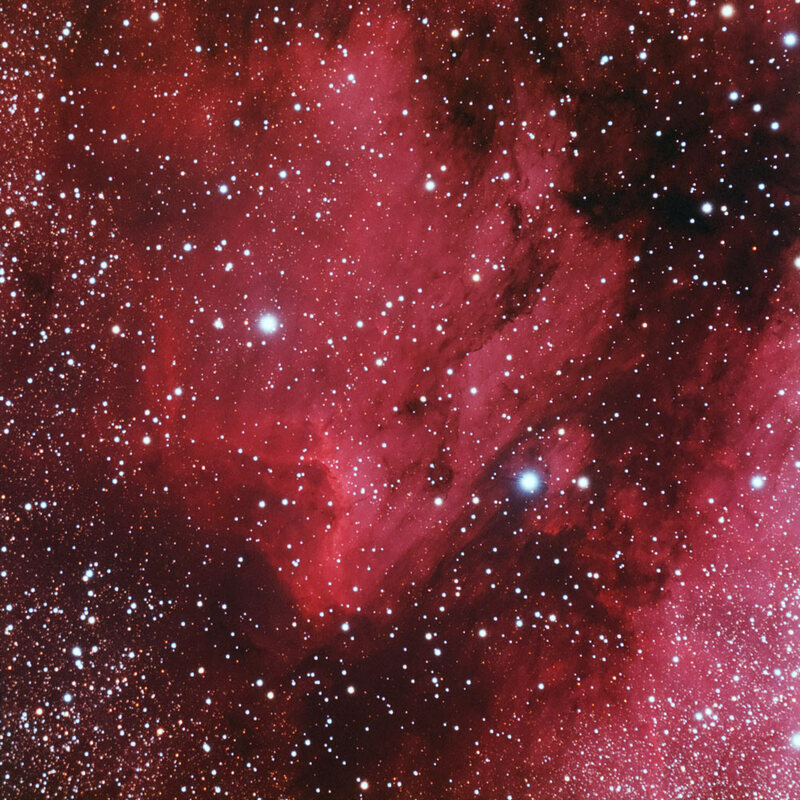 The nebula resembles a pelican in shape, hence the name. The light from young energetic stars is slowly transforming cold gas to hot and causing an ionization front gradually to advance outward. Particularly dense filaments of cold gas are seen to still remain. Millions of years from now this nebula might no longer be known as the Pelican, as the balance and placement of stars and gas will leave something that appears completely different. Images Plus 3.75. Calibration, stacking, DDP. Carbonis Action Color Blotch reduction, High Pass Filter. Image acquired after a caipirinha party, so stars are slightly out of focus for obvious reasons. Nevertheless the clear and calm night delivered a very high SNR image.